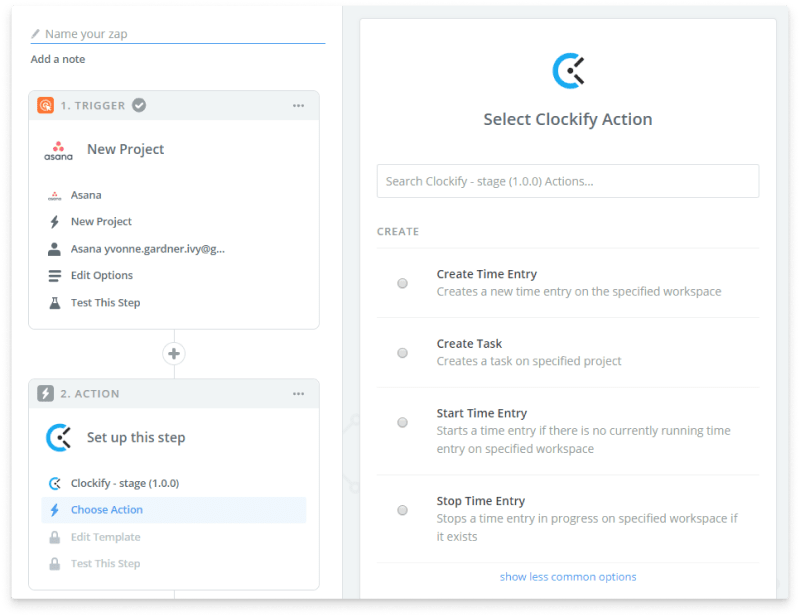 Automate repetitive tasks by connecting Clockify to over 1,400+ apps via Zapier. Clockify Zapier integration is in testing phase and requires an invite to use. Send us an email at support@clockify.me to get an early access. 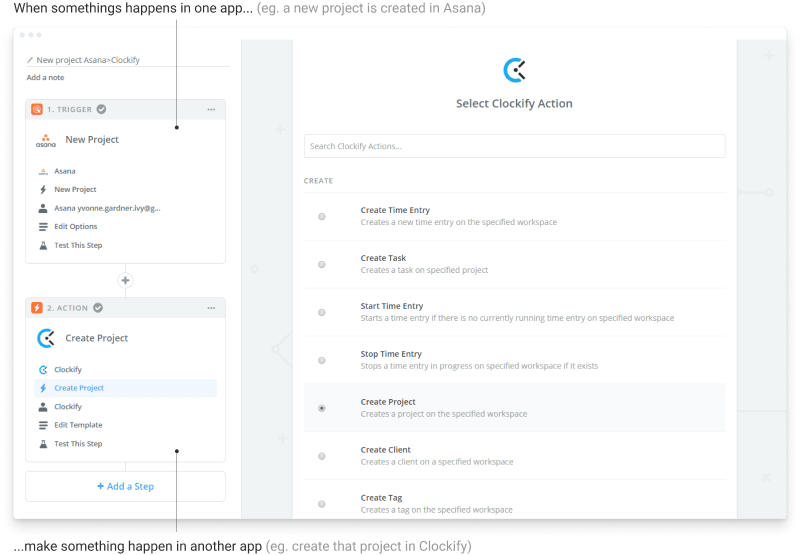 Start time when you move a card from "To-Do" to "In Progress"
Zapier is a web-based service that allows users to integrate more than web apps they use, and automate workflows. Free version is limited to 5 rules (called Zaps) and 100 runs per month. Go to your Personal Settings in Clockify and click "Generate" to get your API key. In Zapier, click "Make a zap! ", choose a triggering app, authorize access to it, and configure the trigger condition. When something happens in that app, another thing will happen in another app. Click "Add a step", choose "Action/Search", and select the app where you want the change to be reflected. Give your zap a name, turn it ON, and that's it. When the trigger occurs, the corresponding action will be performed.